When a bike shop announces a six-figure sponsorship deal with Barclays, you know it must be something unusual. At the end of November, London’s East End-based Bikeworks did exactly this, making it, according to Barclays chairman Marcus Agius, an “extension of our London cycle sponsorships”. On the outside Bikeworks just looks like a normal bike shop. You walk in and a customer is being fitted out with a new bike; an attendant talks on the phone; someone wheels their bike in for repairs. But look a little further and you discover it’s not: many of the people around you were homeless a few years ago. 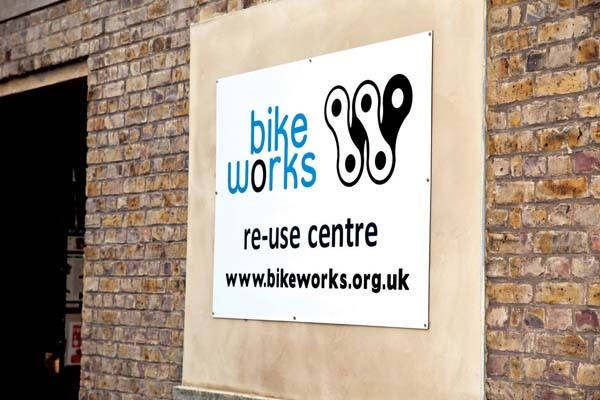 Bikeworks operates by distributing profit not into the employees’ and owners’ pockets but into local communities and training for the homeless, and Barclays has picked it as a communities investment opportunity. The organisation’s flagship scheme is called Cycle into Work, and it aims to help the homeless into work through developing cycling-related skills. Residents from local homeless shelters can sign up to take courses in bike mechanics or cycle instructor training. They are then offered work on a voluntary basis at the bike shop to develop and hone their new skills and, with enough time in the workshop under their belts, the organisation helps them look for paid work elsewhere. “There have been guys here who’ve barely used a telephone before,” one employee who himself joined from homelessness, Glen, tells CW. In 2010, 78 people entered the programme, and of the 66 that graduated, 33 are now in employment using their new skills. They are employed by companies as diverse as Evans and Serco, the company that operates the Barclays Cycle Hire scheme in London. 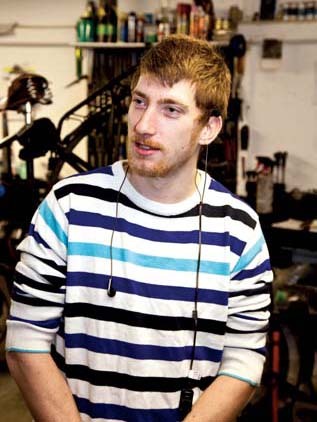 Glen, who joined the Bikeworks scheme having lost his home in the early days of the organisation, explained why it works for people like him: “It takes times to develop skills, and other programmes just train you for six weeks and that’s it. It’s not like that – it takes three, four, six months, and Bikeworks gives you that kind of time. Bikeworks also runs a range of other initiatives, which it funds using the money earned from the shop, organising a range of cycling outreach programmes with marginalised groups. One employee, Howard McAlpine, provided a touching story from his time at Bikeworks, explaining why he left a 12-year career as an advertisement photographer to help develop the organisation: “There was one girl I worked with who had cerebral palsy. She couldn’t keep her feet on the pedals and ride a bike at all,” he said. For those like Howard who work at the shop not having come through its schemes, there is a sense of optimism and upbeat confidence; they seem to know they’re working for something that is doing very, very well. Growth has been rapid since the organisation was founded in 2008, when Miller started it with cycling fanatic Jim Blakemore. Plans are afoot for more expansion this new year, too. There are already two Bikeworks in London, and 2012 could see two more and plans laid for one outside the capital. They’re also considering starting a series of clubs, helping to bring children from vulnerable backgrounds into the competitive side of the sport. But there’s a more profound point to the Bikeworks project too, something that Miller was keen to expand on. It might sound hopelessly idealistic, but Miller has clearly got his feet on the ground. He knows it’s a small organisation with a small impact at the moment, and he is prepared to work with big business. It is these kind of firms that, we are told, are what the government’s ‘big society’ is all about. And while the politicians bicker about what exactly they mean by this, it seems cycling might be providing some answers. Cycling-based social enterprise isn’t only a London and Bikeworks phenomenon. Similar organisations have sprung up in other cities too. Here are two others. Cycling and social enterprise go hand-in-hand. Demonstrating that the success of organisations such as Bikeworks is not a one-off, there are a number of similar organisations around the country. One of these is the Bike Station, which has its headquarters in Edinburgh, but also operates in Glasgow and Perth. 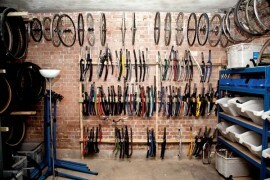 The Bike Station is similar to Bikeworks in ethos. It operates by recycling abandoned bikes and doing normal repairs for customers, while reinvesting its money in the community and cycling projects around Scotland. But the Bike Station has also put Edinburgh cycling on the map – literally – with an innovative new scheme. It created The Edinburgh Innertube, a map of the city’s off-road cycleways in the style of the London Tube map. It prints and distributes copies using the shop’s profits, promoting cycling as a way to get around. The mainstay of its work, however, is organising cycle training and outreach schemes with local prisons and schools. 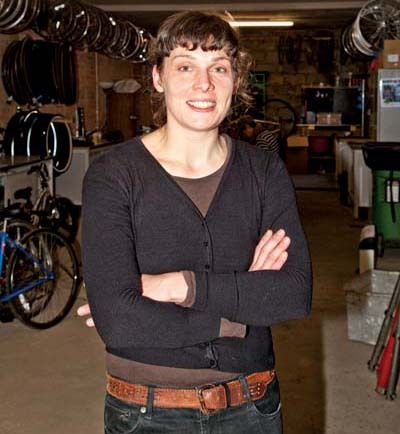 One scheme, Dr Bike, involves teaming up with large employers to offer flat-fee repair workshops – it isn’t about people from deprived backgrounds, but it helps encourage cycling among the chosen employers and across the city generally. Like Bikeworks, it provides employment for vulnerable people it has trained through the schemes. 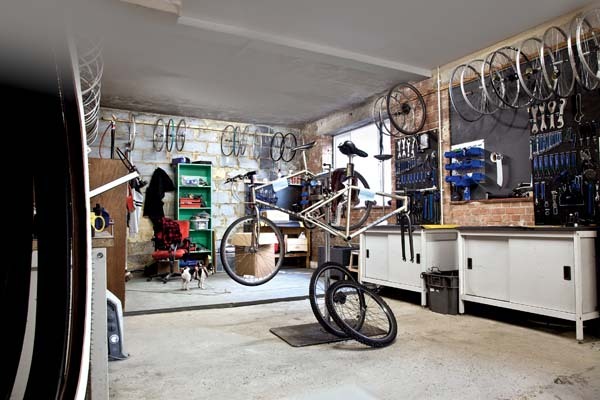 Opened in August 2010, Future Cycles is a bike shop and repair centre, which provides mechanics training, recycling of discarded bikes, cycle training, and maintains bike parking centres around Leicester.